In our latest version 5.0, we introduced the long-requested feature: video quizzing. The Ensemble Video Quiz feature is useful for both universities and companies, allowing instructors and trainers to easily create quizzes on top of existing video content. Quiz questions can be added at strategic points throughout the video or at the end, then published on your organization’s LMS or CMS, or on a blog or webpage. Our online video quizzing tool makes video viewing more active and engaging by encouraging viewers to participate with lessons. It also facilitates measurement of viewership and comprehension, providing another way to improve teaching and learning. The Ensemble Video quizzing feature also allows instructors and trainers to combine instruction and assessment, helping to reinforce key concepts. 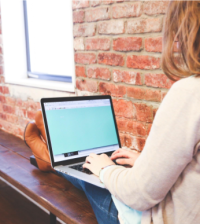 Unfortunately, when you simply assign videos for students or trainees to view, you don’t know that they haven’t turned on the video and walked away or opened a new tab to do something else online. You can’t be sure of this even if you can track to see they’ve completed a video stream, as you can with Ensemble Video. But when you enable video quizzing on your most important media, you can ensure that your students or trainees are engaged and absorbing the content within. Beyond engagement, video quizzes can take the place of online quizzes by combining instruction with assessment. This is a huge benefit for busy university students, because it allows them to simultaneously learn and prove to their instructors that they’ve understood the material. It’s also a benefit for companies, because it can speed up the training process for new employees, allowing them to get started in their role even sooner. Depending on the video content, it can occasionally be easy for viewers to get caught up on the wrong details. However, video quizzing during instructional content ensures that students and trainees are being assessed on their knowledge of the most important concepts the video presents. Then, viewers will walk away with a better memory of crucial information. 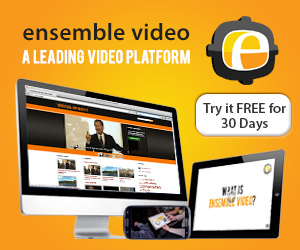 Creating a video quiz is easy with Ensemble Video. Set up a quiz by choosing which video you will add questions to and determine your quiz settings. Create multiple choice, multiple select, true or false questions, or any combination of those and place them in strategic points throughout the video or at the end. You can also add hints and explanations for each question. After a quiz has been created and taken by your students or trainees, you can view results and drill down into specific questions and users. You an also export results to a PDF or CSV. In this article, you can learn more about how to use our new video quizzing feature and quickly and easily create engaging video quizzes for your instructional and training videos. Or, if you’re interested in testing our video quizzing feature, you can also schedule a demo or request a free trial now.